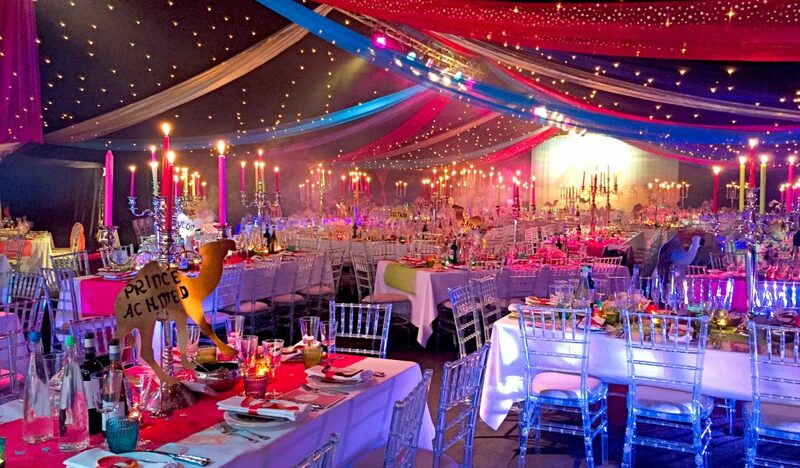 Thinking up new themes for events can be a challenge, especially if you have used up all your best ideas. Finding exciting themes that other event managers have not thought of is often the way to draw in the crowds and make your event stand out from the rest. If you need inspiration and have been tasked with coming up with a fresh and innovative event then here are five top themes for this year that will definitely impress your clients. We all love to eat and the thing about food is that it evokes memories of past holidays and travel experiences. So pairing an event with some really unusual food from around the world is a great way to get your guests talking about their own encounters and trying out new tastes. You can set up food stations with dedicated chefs that cook to an audience, or simply arrange platters of various foods that are typical of their region. Or why not set up a stage and have local chefs in guest spots throughout the event giving tips and advice on cooking different recipes? A perfect theme for the summer months when many organisers take to the great outdoors to pitch their events is a summer festival. Don’t just think about your typical music festival, although this is a great choice for younger guests, consider the creative arts, food, literature, even movies work well as a theme. Why not ask local talent to come along and showcase their best works, or have a live band in the background to keep guest occupied during the event. Consider whether you want to hold an all-day event or one that goes on through the evening and make sure you check the weather and factor in some suitable shelter should the skies cloud over. What a great way for people to experience different cultures including the arts, the food, and the people by holding a travel-inspired event. So whether you fix on one particular country or city, or pick a whole continent, choose a mix of elements that highlight the important aspects of your chosen place. Ideas might include an Indian Bollywood theme, or a rustic western ranch, or how about a Parisian street café theme or an African safari? The world is literally your oyster. You can up the interest by asking guests to come along in appropriate attire for your designated destination. Are you an action hero buff or a sucker for a decent rom com? Would you prefer to watch an old Hollywood classic or love an adventure flick? With so many genres to choose from, you can do a mix of favourites or stick to one. Go futuristic and add furniture that is modern and contemporary, or keep it classy with a fine dining experience to compliment a celebration of black and white movies. Get people networking and talking by recreating classic movie scenes, or put up photo booths with cut outs of famous actors for your guests to be photographed alongside. This theme is perfect for outdoors in rural or woody locations and is a great way to get your workers or guests to think about new strategies and ideas when it comes to working through problems. Have a look at survival programmes and reality shows for ideas of what sort of tasks to hold during the event, with emphasis on building confidence and self-esteem. Think about team-building exercises and assignments that make your guests or colleagues work together in a more productive fashion. If you are about to launch a new event, remember, exciting ideas will pique interest and translate into ticket sales, so be adventurous and steer away from the boring and mundane.